Many dogs will experience stress and anxiety at some point in their life. 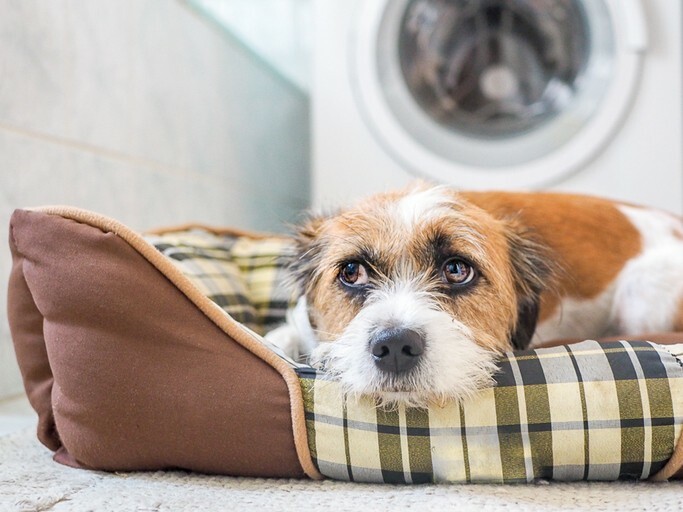 Dogs who are bored or lonely or have little to no routine, and dogs who have experienced abuse, are sick, or have separation anxiety can all exhibit symptoms of anxiety and stress. Dogs who show a change in digestive health (diarrhea or constipation) or loss of appetite, those who routinely isolate themselves for extended periods, sleep more than normal, or are aggressive may be stressed or anxious. A visit to the vet to help identify the source of the stress is the first step in treating your dog’s stress responses. The key to easing stress is to treat the cause. A conversation with your vet will ultimately determine whether medical treatment or a change in diet is needed. Canine stress can be a sign of illness, and your vet can help you determine whether the problem is more serious. In all likelihood, the solution requires a few simple changes to your pet’s lifestyle. Dogs are social creatures, and anxious and stressed dogs are often lonely dogs. Make it a priority to spend time with your dog exercising, playing, or simply showing affection. They need your attention. Remember that food and treats are not a substitute for attention. If you’re not exactly a homebody yourself, remember to include your dog in your life outside the home as well. Many breweries allow dogs in outdoor spaces, and many restaurants will even do the same, so next time you’re meeting up with friends for dinner or drinks in fair weather, remember to bring your dog along as well. Trust me, your friends will be delighted as well. The next time you go on vacation, book a hotel or rental property that allows pets. Sites like Bringfido.com will help you find lodging, restaurants, and activities all over the country that allow dogs. Dogs sleep for a great deal of the day, and that means they build up a lot of energy that needs to be used. Make sure your dog gets plenty of opportunities to burn off that energy—go on walks, play games, let them run at the park, or play ball in the backyard. This also gives you a chance to give your dog more of the undivided attention she needs. Stress can also be a sign of loneliness. For dogs who can safely socialize with other dogs, a trip to the dog park or to a social venue that allows dogs can be a great mood booster, it can help them expend that animal energy, and ultimately end that feeling of loneliness. It will also give them a chance to burn up that energy as well. Many dogs who were originally bred to be working dogs—like collies, shepherds, and cattle dogs—need a job where they can devote their mental energy. Some dogs respond well to puzzles and toys, for others, acting as watchdog is a great task. For example, my shepherd mix Soda will pace the floor and whine and eventually isolate herself unless she can sit at the back door and look out the window. She’s decided that guarding the house by watching the back window is her job—I find her stress symptoms increase unless she is able to use her energy in this way. By giving her the space to “work,” I give her the opportunity to ease her own stress. 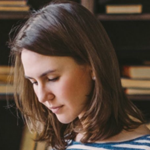 Matilda Davies is a contributing health writer for House Method. She lives in Raleigh, North Carolina, with her dogs Soda and Ramona, and enjoys hiking, biking, and yoga in her free time.